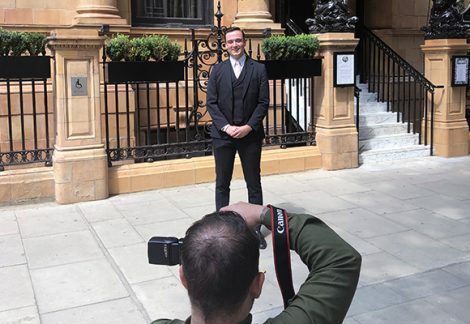 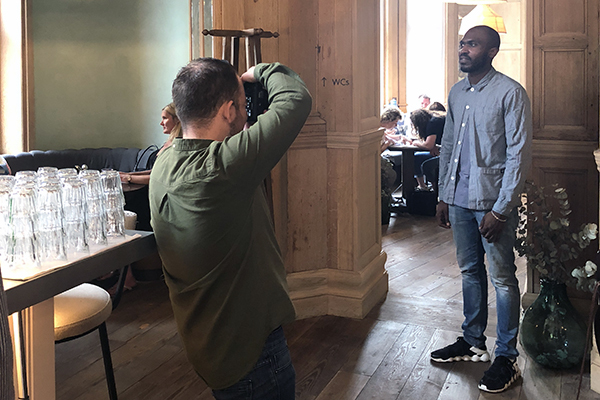 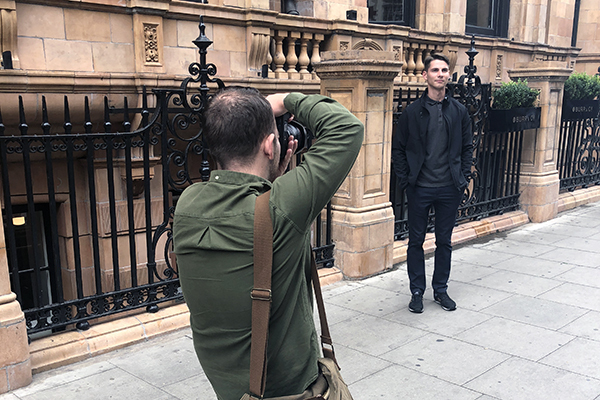 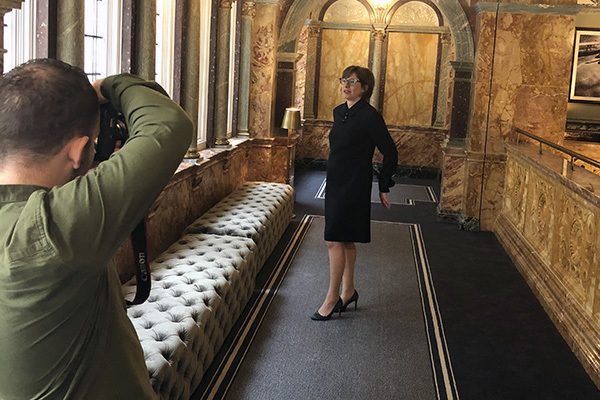 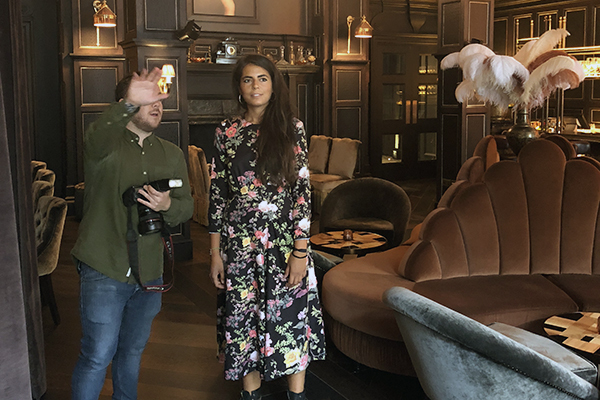 Our latest Portraits shoot took place in July at Principal London, part of the Principal Hotel Company. 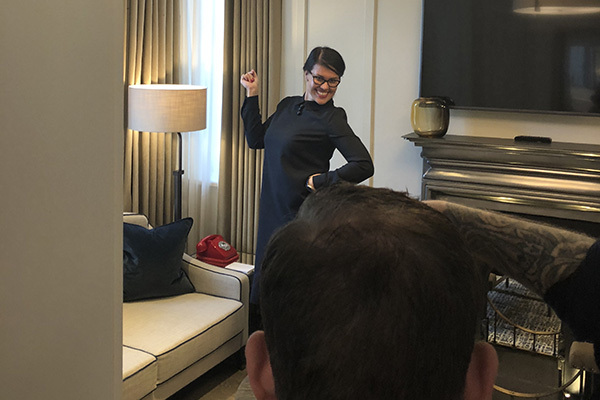 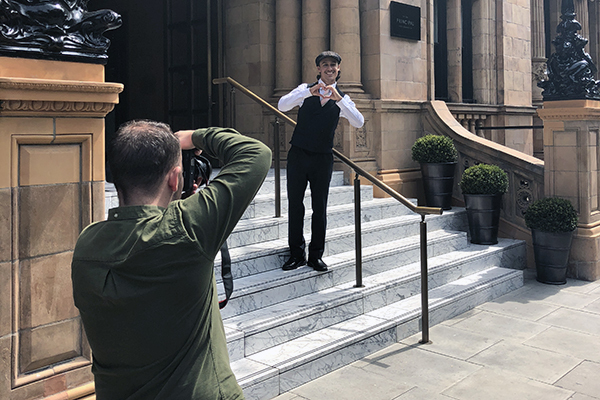 We took our photographer Lennie Mason to photograph some of the hotel’s many staff, all wearing uniforms designed by us. 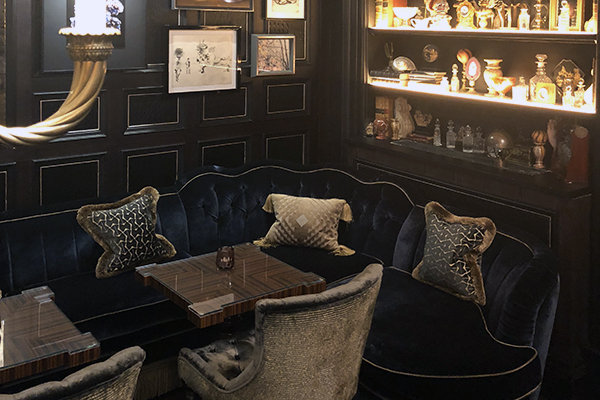 Our Principal London project was one of our most ambitious to date. 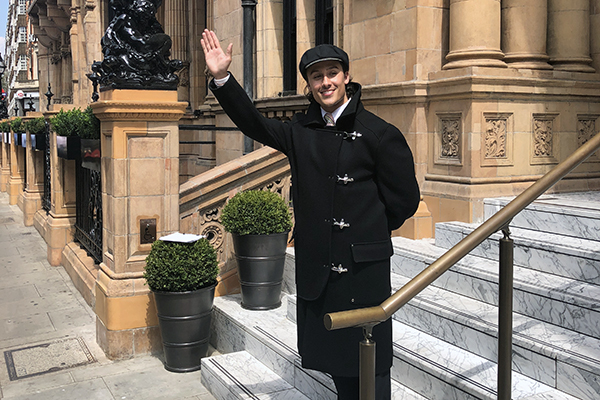 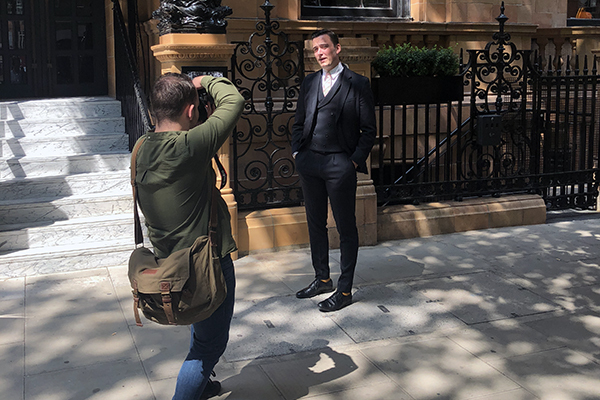 We designed and produced a range of uniforms for the hotel’s numerous roles, from elegant tailoring for front-of-house staff to a unique doorman’s coat worn with a bespoke hat designed by milliner Noel Stewart. 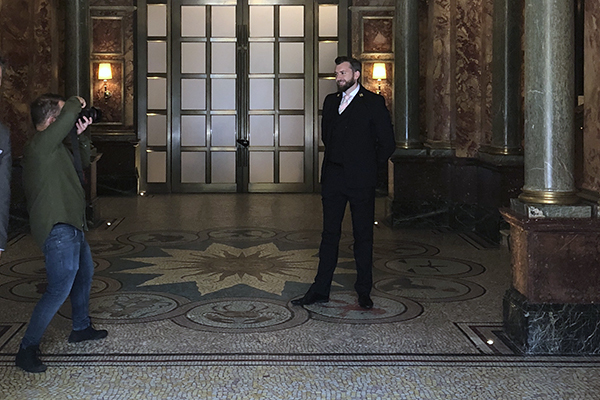 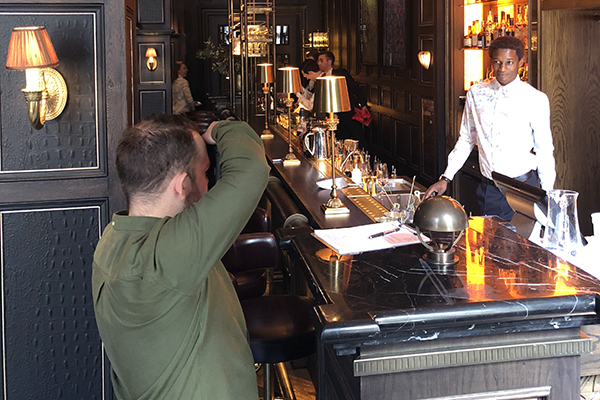 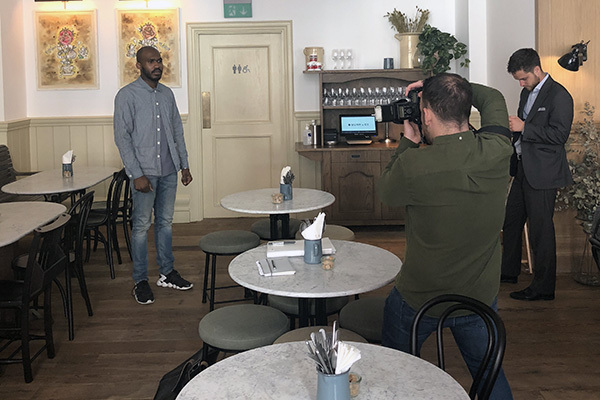 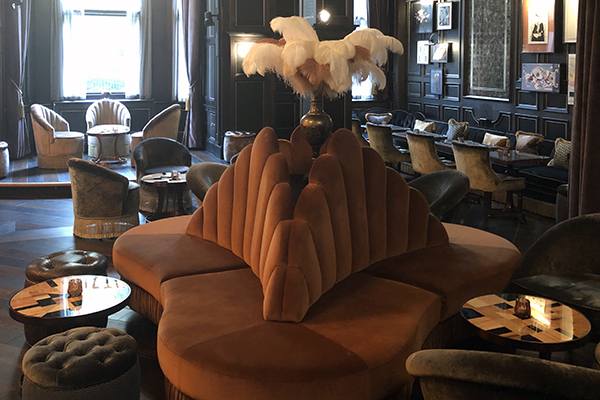 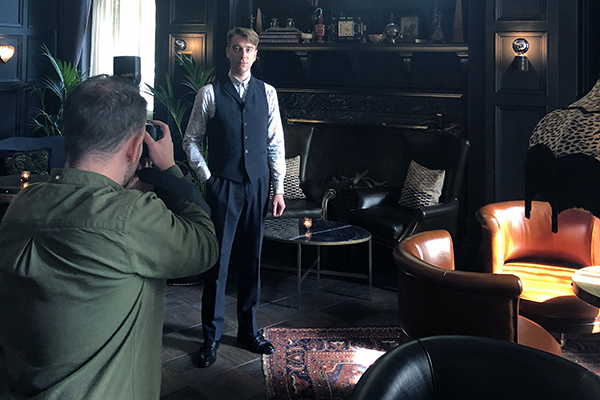 We also kitted out the hotel’s vast maintenance and housekeeping team and commissioned workwear for the venue’s café, Burr & Co. Also, we collaborated with British fashion designer Richard Quinn on two garments – a shirt and a dress – worn by staff in the hotel’s decadent bar, Fitz’s.